You can also view a full list of taught postgraduate courses and find out more about our research degrees. There are full- or part-time courses in a wide range of subject areas. You will normally need a good honours degree or relevant professional qualification. A one-year full-time or two year part-time programme. The supervised thesis is the subject of an oral examination. You will normally need a good honours degree or relevant professional qualification. This innovative programme is structured around learning in your workplace. You will define with your employer and Kingston University a strategic problem and a personal development plan. Work-based tasks are completed and assessed under full university supervision. Typically a two years full-time or three/four years part-time programme. The thesis (20–40,000 words) is the subject of an oral examination. You will normally need a first class or second class honours degree or equivalent in a subject relevant to your research programme. A new innovative programme. This flexible, part-time and work-oriented qualification normally runs over four years and provides excellent opportunities for advanced professional development. This is typically a three/four years full-time or four/six years part-time programme. A PhD thesis (40–80,000 words) is the subject of an oral examination in which you will show both how you have critically investigated your area of research and how you have made an independent and original contribution to knowledge. The Pre-Masters Programme is a masters preparation course for international students (non EU/UK) wishing to obtain a masters degree at Kingston University. 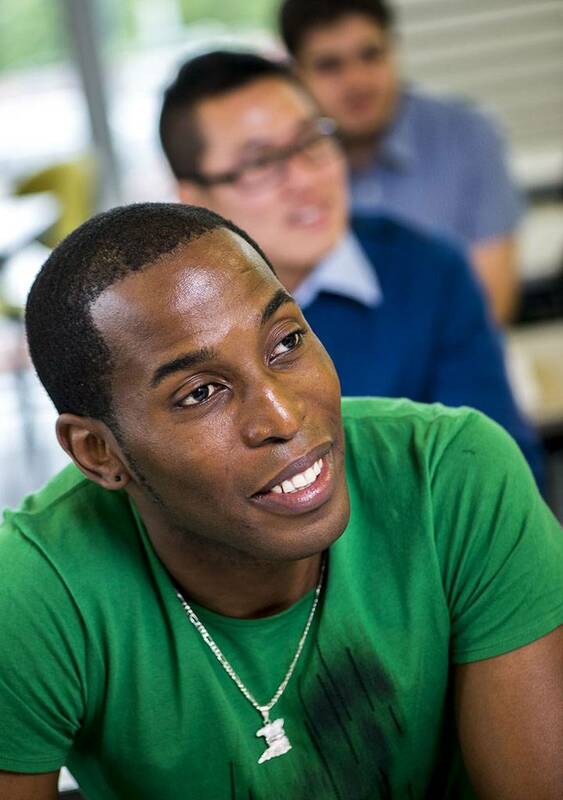 The Pre-Masters Programme provides academic and English language preparation for international students whose current qualifications do not meet Kingston University's masters entry requirements.